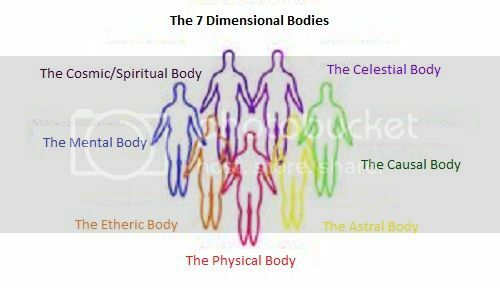 As individuals we have 7 dimensional dimensional bodies that connect us (in our current capacity) to 7 dimensions. To begin we know the basic physics of the EM spectrum that we see and interact with in the Physical Dimension, its called the visible spectrum. Red – operates on a frequency of 400-484 Thz, Orange 484-508 Thz, Yellow 508-526 Thz, Green 526-606 Thz, Blue, Violet 668-789 Thz. Now this spectrum allows us to see colours via the receptors in our eyes etc, however as the human eye is currently limited at the moment we cant see past the 789 Thz of the colour spectrum. But in terms of time-space there are functions of the spectrum that distort space-time. 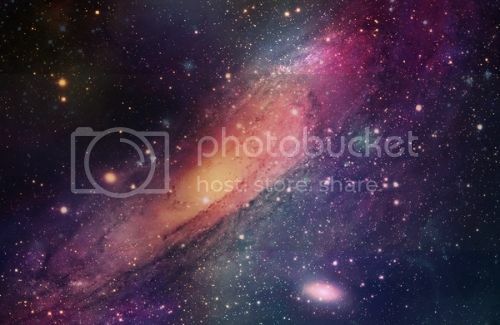 if you look at an image of a galaxy, the different colours you see determine how fast or slow time is moving within that portion of the galaxy, the colour red represents whats called a red-shift where time is moving slowly in relation to the surrounding areas that dont occupy the red shifted space, because particles within that portion of space have been red-shifted by the distortion and are moving slowly. Whereas in the blue part of the galaxy for example it is Blue-shifted, so particles are moving faster and so is TIME in relation to its surrounding areas. So time moves faster or slower depending on the colour of the shift in the area. But they still exist as part of one whole that is a galaxy. The physical dimension – Where it operates within, i’ll use the word red-shifted frequency in relation to other higher dimensional frequencies. This red shifted frequency is has particles moving slowly within it in relation to the higher dimensions. I don’t think explaining what’s inside our physical dimension is necessary here, since everyone is familiar with it. The Causal Dimension, operates on a green shift frequency in relation to other dimensions, but this dimension doesnt correlate with energy/matter/form in the physical like the previous two dimensions, rather it deals with events in physical space-time. Everything that has happened, is happening, and will happen in terms of all possibilities of events in physical time-space, causes and effect and how the physical universe operates within cause and effect, karmic patterns and so forth. The Mental Dimension – Operates on a blue shifted frequency. Particles move extremely fast in this dimension in relation to other dimensions. This dimension is similar to the causal dimension but contains creative thought, patterns of thought, formation of thought, ideas, pretty much all thought, ideas, creative concepts etc it has a function of a matrix of all ideas, thoughts and related processes in the universe. And processes thoughts in the same way a matrix does. Whatever anyone in the physical universe thinks is processed at this dimensional level and is passed through the lower dimensions. Whatever happens here AFFECTS what happens in the lower dimensions. Like affirmations in terms of manifestation. The concepts when thoughts are strong enough to manifest certain events in the physical dimension. It happens at this dimensional level of thought. All the dimensions are connected and relate to eachother. The Celestial dimension is the 6th dimension in this group spectrum – and operates on an indigo frequency, i use indigo instead of violet, as metaphysics measures a spectrum shift that sits just outside the 6 dimensional EM spectrum, so they term violet as a higher spectrum, but it actually borderlines the 6 EM spectrum group, similar to the infrared and ultra violet frequencies. The Celestial dimension is the top of the chain in relation to functions within the physical dimension. It correlates with collective consciousness and collective reality, but its attributes contain all the attributes of the previous dimensions. It looks like the astral and the etheric all rolled into one, it contains actual form like the astral but the form looks energetically like the etheric, and time is fluid, thoughts and creation are instantaneous, events are always changing. The next dimension is a dimension of Spirit – which is thought to operate on a violet or extra violet frenquency, and basically where you go when you die and where you come from when you physically manifest into the physical universe or are born. This dimension sits outside the 6 dimensional group spectrum but is the primary force that fuels the lower dimensions, like a super conscious aspect, the consciousness behind consciousness type of thing. It contains spiritual consciousness, individual and collective. These dimensional bodies all exist within their own correlating dimension, they have what they refer to as an aura, which is actually an energy field that vibrates at a frequency that is the same as the dimension that it exists in, physical red, etheric orange, astral yellow and so on, it allows communication with all functions of the higher dimensions that are required to exist as a functional being within the physical universe. Its why individuals that utilise their minds or intellectual thought more have dominant blue in their aura, because they are utilising the transmission of frequency between the mental dimensional plane more so than other dimensions. The frequency spectrum of the mental body vibrates strongly when its active, when someone actively thinks and creates ideas etc, causing the correlating spectrum of colour to emerge the most. This is where the function of the chakra comes in. Chakras are energy centers. But they’re not quite made of black holes they just contain a similar geometric symmetry. They’re actually geometrically whats called a TORUS, a black hole has a torus geometry within it, but so do most physical bodies in space. But thats a long explanation. 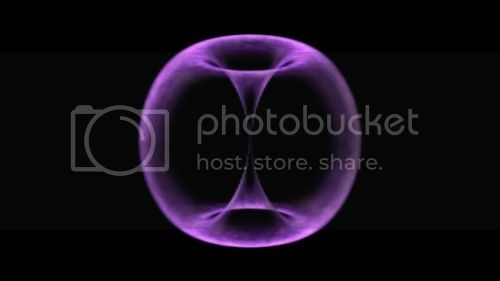 A quick run down on a Torus and energy, A torus like in the image above, has particles that move within it at a specific pattern similar to an orbital pattern in a figure 8 like movement. The particles that move within the torus can move at different speeds. Some torus’ like in the image above have particles that a swirling around the torus at a high speed, the speed that is moves determines its frequency. A chakra is an energy center that is geometrically a torus. The sacral chakra – is the energy center that correlates to the etheric body and the etheric dimension, the energy centers torus generates a particle frequency that matches the etheric frequency and allows the transmission of information between that dimension and our etheric body. They’re basically vibrating at the same speed in its time-space spectrum. Information is transmitted across that frequency like a radio station transmitting a frequency and your radio picking up that frequency receiving the information in the form of songs across it. Same principle. The same with the solar plexus energy center and so on. Its why the chakra energy centers have different attributes and colours associated with them. Because each energy center receives different information from the different dimensional attributes according to the frequency they’re emmitting and recieving on. But because of the way the energy moves inside the torus of the energy centers, either going up/down or forward/back in a figure 8, depending on the angle your observing them from, they have the ability to not only receive information but send it back and forth. So its not a one way frequency transmission, its a two way. The chakras have an interactive function with existence. It is proportional to our communication with the multidimensional universe. Blockages can limit the communication of information, preventing the information being generated across the frequency of the energy centers, so working out any chakra blockages will aid in healthy function of all bodies.